Designed to extract most environmental deposits such as tar, oil, hard water stains, bug acids and other contaminants from Polyurethane paint protection films. 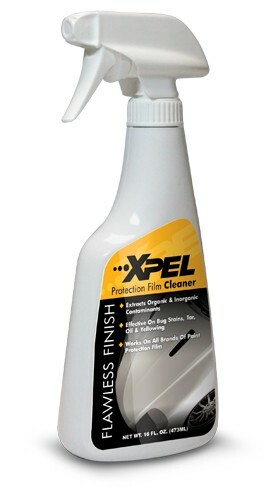 XPEL Paint Protection Film Cleaner is designed to extract most environmental deposits such as tar, oil, hard water stains, bug acids and other contaminants from Polyurethane paint protection films. Its deep cleaning action restores the clear, glossy, fresh look of your paint protection film.